Two-part documentary following choirmaster Gareth Malone as he forms a Military Wives choir to perform at a WW1 centenary prom. In this episode, Gareth begins the auditions. Choirmaster Gareth Malone is back. He thinks the Military Wives are the perfect choice to launch the nation's centenary commemorations of the outbreak of World War I, and he pulls together a new Military Wives super-choir to stage a very special prom in association with the National Theatre's War Horse team. 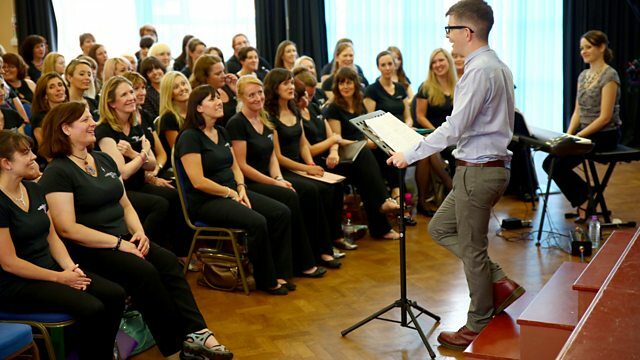 It is three years since Gareth formed the first Military Wives choir, and since then the organisation has mushroomed with over 80 choirs and 2,000 members around the globe. In this episode, Gareth sets out to audition as many of them as possible for his 100-strong choir. The wives usually sing pop songs, but Gareth has a repertoire of taxing classical pieces that were popular at the time of the First World War in mind, including Gustav Holst's fiendish Ave Maria set in eight-part harmony and a moving setting of Tennyson's poem Home They Brought Her Warrior Dead, so he needs to recruit the very best technical singers for what will be their toughest ever musical challenge. As the gruelling rehearsals get under way, Gareth discovers that the wives' dignity in the face of the constant threat of the death of their loved ones is as strong as ever, and the wives discover powerful parallels with their counterparts 100 years before them. The first episode culminates in an emotional performance at RAF Brize Norton for some of Britain's last deployment of troops to return from Afghanistan. Performer: Orchester der Deutschen Oper Berlin. Orchestra: Vienna Strauss Orchestra. Conductor: Joseph Francek. Orchestra: St. Petersburg Chamber Festival Orchestra. Performer: Garath Malone. Performer: Hannah French. Performer: Military Wives. Composer: Andrew Lloyd Webber.